This is a photograph of Bothwell Castle showing part of the South East Tower. Taken from an unusual angle compared to many available on the web, the height of the remaining wall is clear. 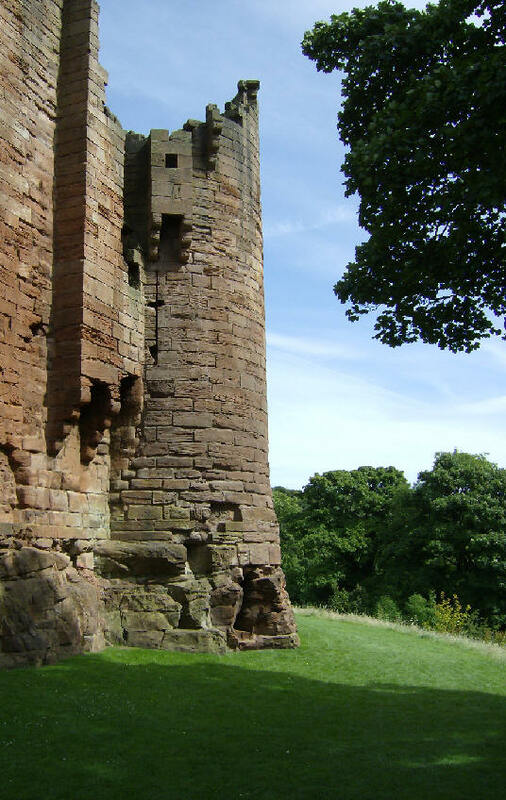 Bothwell Castle was once an inspiring medieval castle, built on the banks above a bend in the River Clyde. Building was started by Walter of Moray some time in the latter half of the 1200s. Invasion and repeated siege meant that the original design of the castle was never completed and what you see today is largely the work of the Earls of Douglas in the years around 1400.